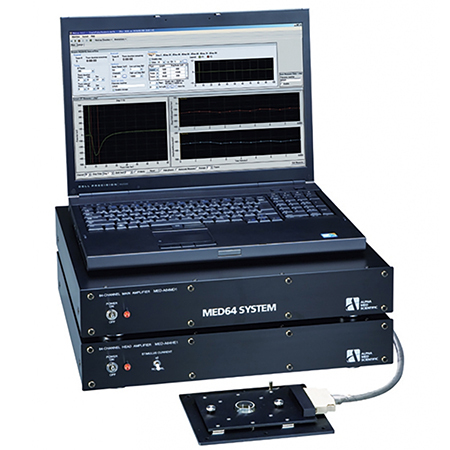 MED64-Basic System is user-friendly microelectrode array (MEA) system for in vitro extracellular electrophysiology. It features with the industry’s most sensitive MEA system, providing high-quality reliable data. Created by Panasonic, the MED64 has been on market for 20 years and has hundreds of users and publications worldwide. Acquire signal from 64 electrodes simultaneously. Stimulation through any of the 64 electrodes (up to 2 electrodes simultaneously) using internal stimulator. Record inside of a humidified incubator. High-quality evoked signal without interference of stimulus artifacts. One system can be used for multiple experiments with its amplifier’s broad acquisition bandwidth and analog low pass/high pass filter. 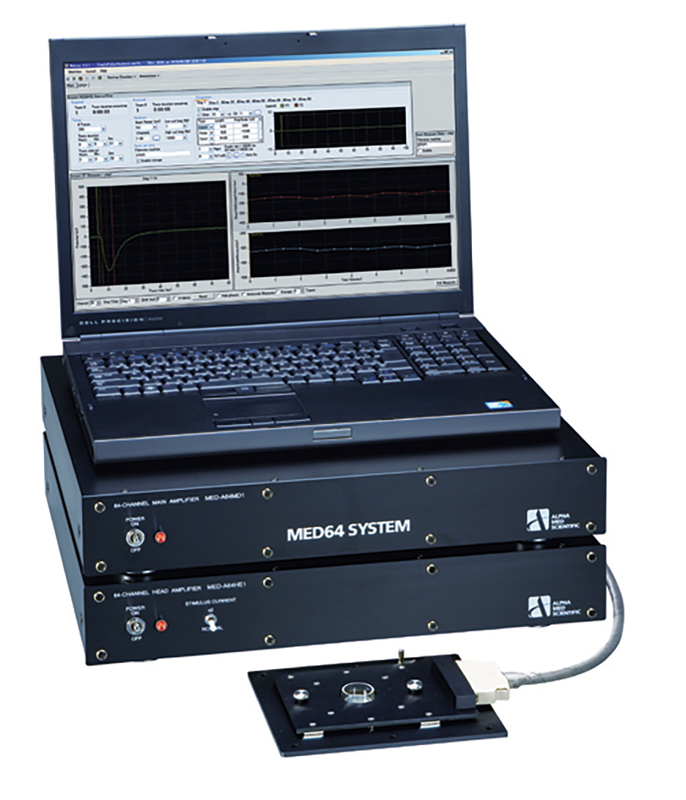 Low-cost upgrade to the MED64-Allegro or Quad II System.